Bespoke is a well established and highly respected catering and events company based in Stirling. We provide mobile catering and bar services to private and corporate clients based throughout the UK, as well as on-location catering for the television and film industry. 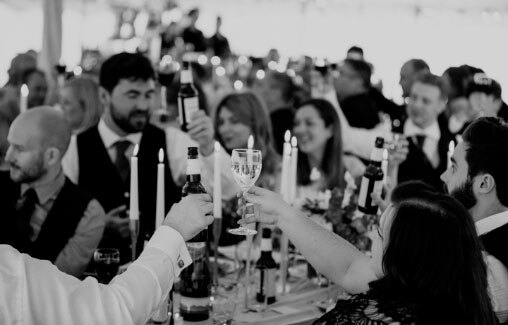 The Bespoke team is filled with some of the most creative and talented professionals in the industry, bringing with them a wealth of experience in high-end catering, event styling, mixology and event management. Our clients trust us with some of the most important events in their lives. Whether it’s your wedding, a milestone birthday, or the launch of a product you’ve spent years bringing to life, we understand that these are days that you can never get back. Being part of such special times in our client’s lives fuels our passionate for what we do. 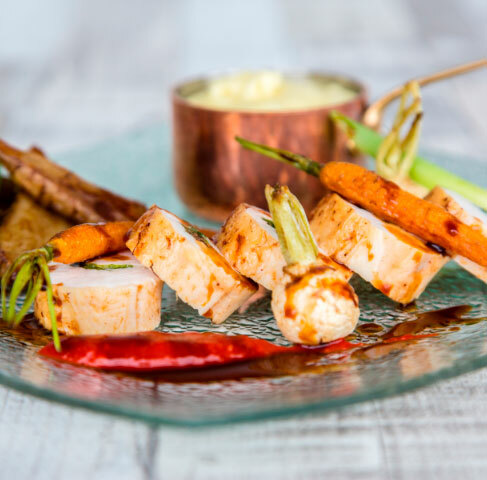 We hand-pick all of our suppliers to ensure the food and drink we serve is always of the finest quality, while our team are constantly training and developing new ideas to ensure we remain at the cutting edge of both culinary and event design. We work with some of the best and brightest across the industry. From florists to cake designers, venues to photographers, everyone in Bespoke’s little black book shares one thing in common; a dedication to creating something unique and special for our clients. We don’t do packages. We love nothing more than taking the time to really get to know you and finding out what makes you tick. Our team will then design a menu that is completely bespoke to you and your celebration. We want your food to look, smell and taste like the best meal you’ll ever have. If you’re a ‘back-yard BBQ type’, why serve a formal five-course meal that you won’t enjoy ? On the other hand, if you have a passion for fine dining, when better to go all out and create the most amazing menu you can imagine?